Rottler offers two porting options. 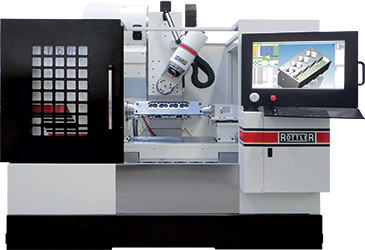 A fully dedicated fast and easy to operate 5 axis cylinder head porting machine as well as an optional package for our F60 Series machines. Both utilize the same specially designed, easy-to-use software. The entire programming process can be done at the machine. 5 Axis CNC Port Exhaust Port, Intake Port, Combustion Chamber & Intake Manifolds.